If your order exceeds the weight limit more than 30 kgs or a large amount of money, the additional shipping fee will be charged after your order. 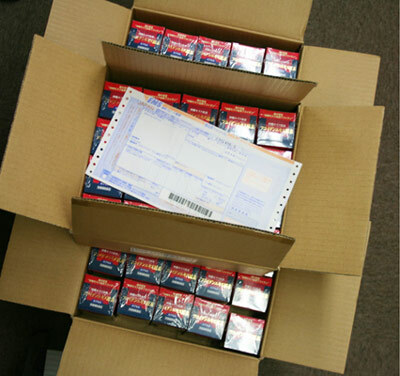 In these cases, we will inform you the balance of the shipping fee after receiving your order. Please note that the additional shipping fee will not be automatically charged when you order. We will proceed your order after we received your agreement for the additional shipping costs. 100% Okinawan Fucoidan! Easy to Take, Easy to Continue. Fucoidan Extract Bulk Powder Capsules contain 100% Okinawan fucoidan derived from fresh brown mozuku algae(scientific name: Nemacystis decipiens), and grown under the Okinawan sunlight. It is produced from Okinawan mozuku fucoidan which is derived through a patented unique manufacturing process(No.3408180) under the consistent quality control system in the ISO 22000 certified factory. It comes in easy-to-take capsule form. Take 4-6 capsules daily, with water or warm water. ◆Store carefully as capsules may get sticky in summer or cracked in winter in response to humidity and temperature change. 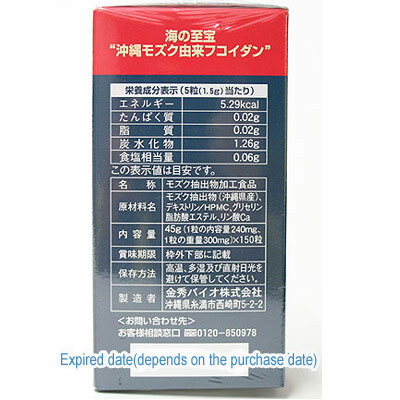 Manufactured by KANEHIDE BIO CO., LTD.
※The package is subject to change without prior notice. 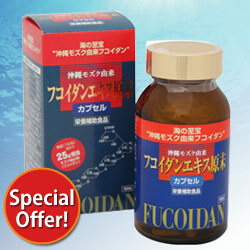 Fucoidan Extract Bulk Powder Capsules utilizes Okinawan mozuku which is quick frozen while fresh. Since it is made from fresh Okinawan mozuku, not dried ones which can be found in overseas products, it contains an abundance of sulfate groups, which is one of the remarkable characteristics of fucoidan. Okinawan mozuku cultivated in the sea around Okinawa grows absorbing an abundance of vitamins and minerals contained in seawater. Fucoidan Extract Bulk Powder Capsules differ from granulated mozuku powder. To provide more highly-concentrated fucoidan, it is produced via extraction from mozuku → concentration → commercialization process, that results in more than 80% purity. 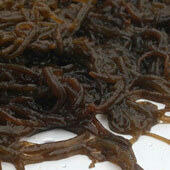 Fucoidan Extract Bulk Powder Capsules are made from this extract of mozuku. Fucoidan Extract Bulk Powder Capsules derives fucoidan from Okinawan mozuku with the patented organic acid extraction method (Process Patent No. 3408180). Extracting mozuku fucoidan through the KANEHIDE BIO's own unique process allows to maximize the effectiveness of the material. KANEHIDE conducts quality assurance check by not only machines, but also human hands and eyes at each step of the production process, that is allowed by the consistent structure that encompasses everything from raw material procurement to commercialization. 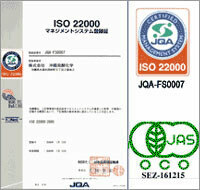 ISO stands for International Organization for Standardization. ISO 22000 certification signifies that a company is certified by ISO and meets the standards of quality control and assurance established by the organization.